Lately I’ve been thinking a lot about creativity. 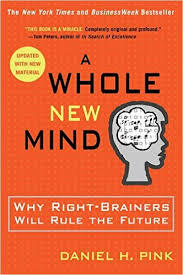 In his book, “A Whole New Mind: Why Right-Brainers Will Rule the Future,” author Daniel H. Pink talks about how we are moving out of a left-brained dominated period of time in which linear thinking has been the norm. Computers and the scientific method are examples of the type of thinking that starts with one event triggering the next event and the next, and then a straight line from problem to solution becomes the answer. But as we all know, in this day and age our problems are more complex. Using the other side of our brain, the right side, solutions come from combining unrelated ideas, facts, and situations together in new ways to create solutions that could never be imagined from a left-brained, linear, point of view. It’s a holistic view. New ways of assembling information create new meaning and new solutions that can be applied to today’s most complicated problems. There is a web of information out there and dilemmas that beg for multi-faceted solutions. We know that our children are our future problem-solvers. How can we encourage creative thought in the youngest members of our communities? The answer is to give children the tools and support to find solutions by encouraging imagination and creativity. Children can learn to not mimic adults, but to expand upon the ideas of their teachers. Science and technology can be opened up to incorporate non-linear solutions. Inspiring children becomes more important than teaching them. Reading children’s books together with a child is the perfect way to introduce new ideas and start a conversation on important topics. Read together, talk about problems and solutions, and then encourage creative thought. 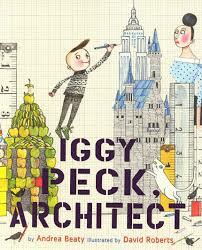 Here are three books by one author that take the established professions of architect, engineer, and scientist and give permission for children to think out of the box to find new solutions to problems. 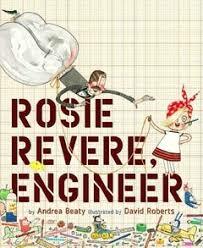 Let’s encourage new generations of children to think of ways that we can solve today’s big problems with new reasoning. 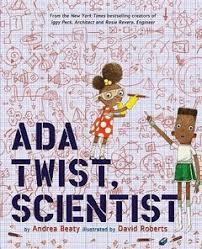 “Iggy Peck, Architect,” “Rosie Revere, Engineer” and “Ada Twist, Scientist” by Andrea Beaty, illustrated by David Roberts, all push children to think out of the box. To make your own swirling colors like the featured image at the top of the page, here are directions: Pour milk (not skim) into a shallow dish and let come to room temperature. Put in a few drops of different colors of food coloring. Put in 1-2 drops of liquid dish soap. 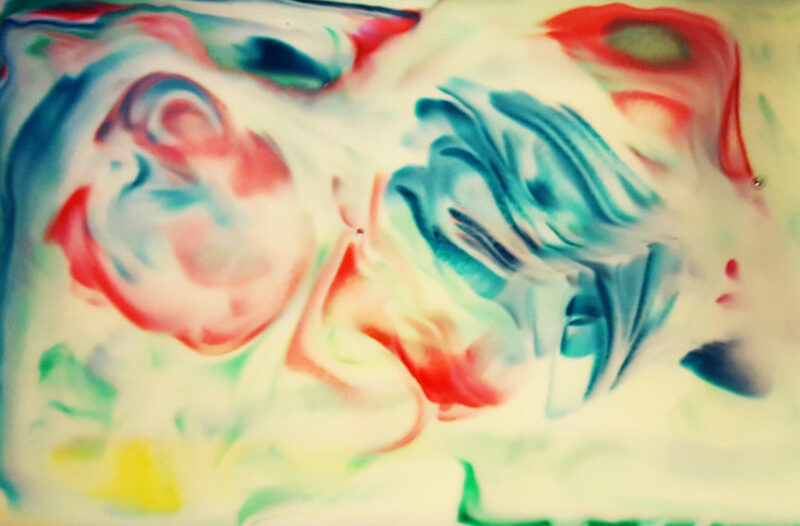 Watch the colors swirl as the soap breaks down the fat in the milk.